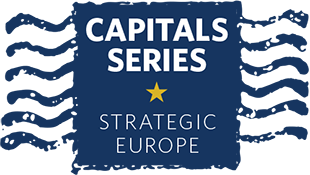 Strategic Europe continues its Capitals Series exploring how EU foreign policy is viewed by ten countries in Europe’s Southern neighborhood. We have asked our contributors from each capital to give a candid assessment of the EU’s approach toward their state, with a ranking on a scale from “irrelevant” to “helpful.” This week, the spotlight is on Morocco. In dealing with its authoritarian Southern neighbors, the EU faces two dilemmas. The first is the perennial conundrum of stability vs. democracy; the second is the moral hazard of EU engagement. These dilemmas become thornier when the Southern neighbor in question has die-hard EU members as its champions, is a good team player on security issues such as fighting terrorism, and displays some of the trapping of democratic transition. Morocco is a case in point. In nearby Tunisia, the 2010–2011 revolution initially seemed to have shattered the concept of stability. Before the young Tunisian Mohammed Bouazizi lit his match and set himself on fire, becoming a catalyst for the revolution, Tunisia was an epitome of stability in the region. The repressive methods of the old regime were overlooked as long as the country appeared stable in its preservation of the interests of European countries. The demise of former Tunisian president Zine El Abidine Ben Ali seemed to have decisively swung the pendulum toward the argument that democracy ensures stability. Then the other countries affected by serious protests descended into chaos or reverted back to their former authoritarian selves. Against that backdrop, Morocco’s stability looked more valuable than its lack of democratization seemed problematic. The EU’s approach toward Morocco is best described as confused. The rationale behind the EU’s support for the country since the Arab Spring largely hinges on the notion that Morocco rode the wave of uprisings by finding a path between stagnation and disruption thanks to the wise leadership of the country’s monarchy. The king initiated a constitutional reform after protesters took to the street demanding a parliamentary monarchy. While not acceding to their demand, the king put his stamp on a constitutional change that slightly limited his expansive prerogatives. Moreover, Morocco’s cooperation on security issues, mainly fighting terrorism, and on illegal immigration gained currency. That paradigm has underpinned the EU’s attitude toward Morocco since at least the mid-1990s. Even if the country did not descend into chaos and its regime did not turn into a bloody dictatorship, Morocco certainly did not make great strides toward a liberal democracy. According to World Bank governance indicators, Morocco has at least stagnated when it did not backslide on the major criteria of good governance. According to the Transparency International corruption perception index, Morocco is a more corrupt country today than it was in 2000. If Reporters Without Borders and Freedom House are to be believed, the Moroccan press is more repressed today than in 2000. Morocco’s average growth rate since 2011 has been a measly 3.8 percent. According to a study cited in a World Bank report, more than 66 percent of jobs in urban areas are in the informal sector. That explains the Faustian nature of the country’s social pact, which sustains a semblance of stability despite dismal economic and social indicators. Moroccan authorities allowed the informal sector to metastasize to provide jobs to those left out by the formal economy. However, Morocco’s jobless rate is highest among young people and those who live in cities. One needs to remember that the Arab Spring was led by disgruntled urban youngsters deprived of economic opportunities and peaceful means to voice their demands. In other words, Morocco might not have dodged the Arab Spring bullet yet. The informal sector, which caters to the lower social strata, is mirrored by a nepotistic web of big companies revolving around the king’s conglomerate and enjoying oligarchic positions in the formal economy. Here again, one common feature of the demonstrations against Arab despots was the waving of banners denouncing their mafia-like family control of the private economy. The EU’s failure to elicit more institutional reforms hampers not only the democratization process the union says it encourages but also the development of a properly managed and prosperous market-based economy. Morocco has certainly enjoyed a privileged relationship with the EU. The Association Agreement between the EU and Morocco entered into force in 2000. Morocco was the first Southern Mediterranean country to be awarded advanced status in 2008. Morocco is the largest recipient of EU funds in the framework of the European Neighborhood Policy. For the period 2007–2013, the EU awarded Morocco €1.3 billion ($1.5 billion) through the main EU main initiative for funding cooperation programs with its neighbors, the European Neighborhood and Partnership Instrument. Here comes the moral hazard. Political scientists have determined that foreign support and aid can act as a geostrategic rent for authoritarian regimes because such assistance reduces the urgency to reform. The EU’s pusillanimous insistence on the political reform agenda coupled with its financial and diplomatic support might have removed the incentive for reforms. A case in point is Morocco’s much-expected judicial reform. The constitution approved in July 2011 was silent on major aspects of the country’s political governance. Framework laws were supposed to fill the gaps at a later date. Chief among such legislation was a law reforming the judiciary. A draft bill was prepared—but was defended first before the French parliament. The story illustrates at once how the democratic promises of 2011 have been betrayed and how major European countries are contributing to the process. It all began with a French judge summoning a Moroccan security official for questioning in a torture case. The Moroccan authorities’ anger at the French government led a French member of parliament and former justice minister, Elizabeth Guigou, to present a report to the French parliament that extolled the judicial reform to be voted on in Morocco—a judicial reform that put the reins of the judiciary firmly in the hands of the king. France’s unwavering support provided Morocco with the means to get away with cosmetic institutional changes. Morocco’s decision to suspend contacts with the EU institutions over a court decision that declared that a farm trade accord was partly invalid and should not include the disputed territory of Western Sahara illustrates the moral hazard of some European allies’ unrelenting support. Aboubakr Jamai is the dean of the School of International Relations at IAU College in Aix en Provence, France. He is the founder of the Moroccan weekly magazine, Le Journal Hebdomadaire, and was its editor from 1997 to 2007. Yes yes Mr Jamai i know you want a full constitutional monarchy in Morocco, but let's me ask you this, is Moroccans ready for it ?. Every morrocan know the evils of the system ,but we prefer to live in it ,i insist on live , then to be thorn by a war just to have a secular westernized democracy that s not compatible with our civilization and not emanating from the populace but from an elite .